Note: J. W. Burns was an Indian agent on the Chehalis reservation in the lower Fraser Valley of British Colombia, to whom we owe the popularization of the name Sasquatch. John W. Burns in his time wrote more than fifty Sasquatch related articles. During a request from The Vancouver Sun in 1957, Burns replied in a letter that he was amazed at the talk of searches for the Sasquatch. He said he “regrets that these harmless people of the wilderness are to be hunted with dogs as if they were criminals and if captured, exposed to the gaping and gaze of the curious. They have been referred to as monsters but they have committed no monstrous acts. It appears our veneer civilization does not hesitate to even use monsters for commercial purposes.” We should all salute Burns’ work documenting certain behaviors and characteristics of the early day Sasquatch; he was a true pioneer truly deserving of a noticeable place in Sasquatch research history. 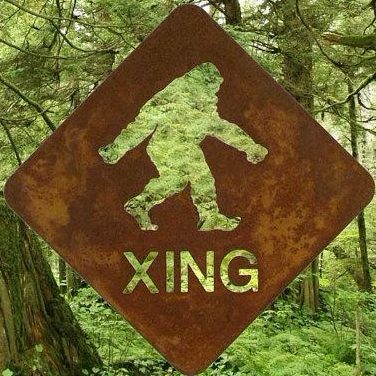 Source: Bigfoot Encounter. All the research material from late Bobbie Short has been made available in a free ebook. Photo: First Sasquatch Days in Harrison Hot Springs, BC, 1938.